Melena refers to the dark black, tarry faeces that are associated with upper gastrointestinal bleeding. The black colour and characteristic strong odour are caused by haemoglobin in the blood being altered by digestive enzymes and intestinal bacteria. 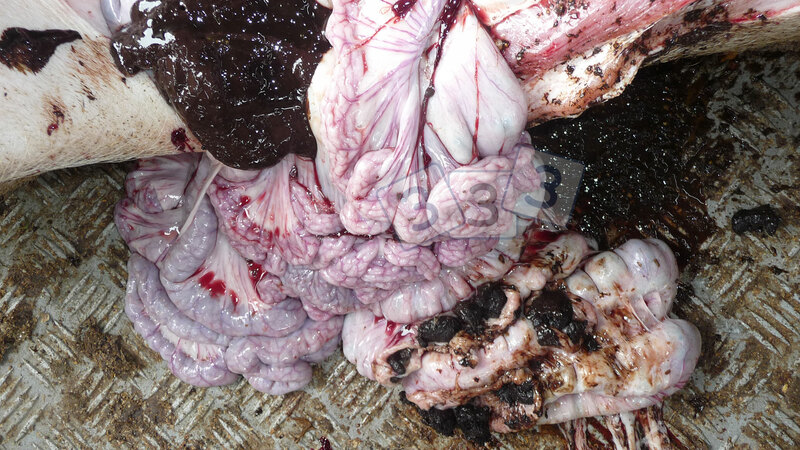 The most common cause is gastric ulceration, as in this case. However, any bleeding within the upper gastrointestinal tract or the ascending colon can lead to melena. Melena may also be caused by eating anticoagulants used for vermin control, such as warfarin. Iron supplements may cause a grayish-black stool that should be distinguished from melena, as should black colouring caused by foods such as beetroot, black liquorice, or blueberries.